What is “Place of Your Last Arrival” on Form I-765? Item 17 on Form I-765, Application for Employment Authorization, asks for “Place of Your Last Arrival or Entry Into the U.S.” When you entered the U.S., you may have been provided with Form I-94 (Arrival/Departure Record) by U.S. Customs and Border Protection (CBP) at the port of entry. The Place of Your Last Arrival is generally the port of entry where you most recently arrived in the U.S., and it’s usually found in a stamp within the upper right hand corner of the I-94. If you arrived to the United States via air or sea after May 2013, CBP probably did not issue you a paper I-94. Your I-94 Arrival/Departure Record is available electronically on CBP’s I-94 Website. If you’re having trouble locating your I-94, see How to Find an Electronic I-94 Record. 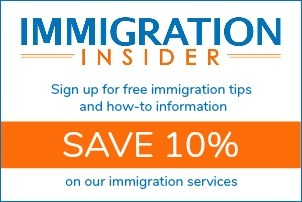 If you do not have Form I-94, refer to your passport for the place of your last arrival into the U.S. 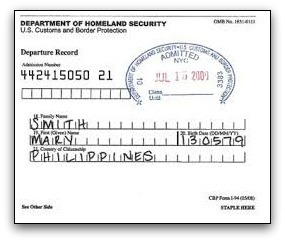 If you entered the U.S. without inspection (without papers), there is no official record of your entry. You will have to use a place of entry based on a best estimate. This may be the case on I-765 applications related to Temporary Protected Status or Deferred Action. Use a location (city and state) that you believe to be accurate. In some cases, your port of entry to the U.S. could actually be in a foreign country. U.S. Customs and Border Protection maintains Preclearance operations in certain overseas locations to inspect travelers prior to boarding U.S.-bound flights. Therefore, your I-94 record (or passport) may have one place, but your physical arrival in the United States was in a different airport. In this case, use the port of entry where you were inspected by CBP.